A grandfather clock handed down through generations, an antique roll-top desk, heirloom china—these are the types of treasures that make a house feel like a home. They are also among the hardest items to move from one house (or apartment) to another. Fortunately, there are steps you can take for a successful move, even with difficult-to-pack antiques. With the right techniques and some special materials, you’ll be packing antiques like a pro. As soon as you decide to move, create an inventory of every item in your antique collection. Start with the largest items, such as armoires and dining room tables. Photograph each piece for your records. Measure all sides of each item; you’ll need these measurements for custom crates and to make sure your large antiques will fit through the doorways of your new home. 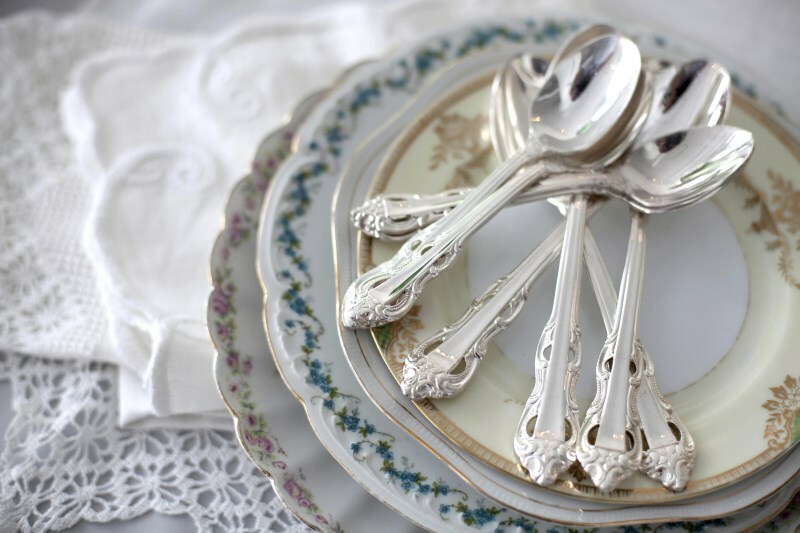 For smaller antiques like jewelry, silver, and collectibles, photograph each item and make note of any imperfections. If you haven’t gotten recent appraisals of your antiques, do that next. The American Society of Appraisers is an excellent resource for information about appraisals and for referrals to certified appraisers in your area. Are your antiques insured for the move? Even if they are included on your homeowner’s or renter’s insurance policy, check to see whether the coverage extends to transport and unpacking at your new home during a move. With your appraisals in hand, contact your broker or insurance provider before the move to discuss your options. If you’re using a professional moving company, you may think that you’re covered by the company’s liability insurance. However, many movers’ policies are based on a 60-cents-per-pound formula. If this is all the coverage you have for the move and your 100-pound antique statue worth $1,000 is broken in transit, the moving company may be liable for only $60. For interstate moves, the federal government requires that movers offer two liability options, Released Value (the 60-cents-per-pound option, described above) and Full Value Protection. With Full Value Protection, movers are liable for the repair or replacement of items damaged or lost during a move. However, there are liability limits for items—like antiques—that exceed the value of $100 per pound. For in-state moves, coverage requirements vary; you can find out more by contacting your state’s Office of the Attorney General. When it comes to moving high-value antiques, a third-party insurer is always worth considering. The first layer will keep the object clean and safe. For porous items such as artwork, antique books, and fabrics, non-acidic archival tissue makes a fine protective layer. For glass or wood, use stretch wrap or foam wrap to cover the items completely, making sure to extend the wrap around corners and edges. You can also use cloth as a protective wrap, but, as the Smithsonian points out, “In some cases, soft material like flannel can trap dirt which abrades the surface” of an antique. The purpose of this layer is to absorb small shocks that occur during transport. Use a combination blankets, foam, and bubble wrap and attach securely. The outermost layer protects your valuable antiques from the most abrupt effects of the move. An ideal protective shell is a wooden crate. The Smithsonian approach can be used with smaller items, too. Because archival tis sueis smooth and nonacidic, it’s ideal as a protective layer for dishes, glassware, and collectibles. These smaller items should be double-boxed for extra protection, with a layer of packing peanuts or foam between the inside and outside boxes. If you are shipping them, you may want to combine multiple smaller items in a crate. If you bring small antiques in your car, be sure to secure them in your trunk–out of sight, in the spare tire compartment or tucked away behind your luggage. The smallest of your antiques, and possibly the most valuable, are watches and jewelry. Take the same steps listed above: inventory the items, take photographs, get appraisals, and secure the proper amount of insurance. During the move, keep these small items close to you at all times: with your personal belongings such as your laptop case or handbag if you’re driving, or, if you’re flying, in your carry-on luggage. The rule of thumb for loading fragile items—especially antiques—is “last on, first off.” The idea is to limit the chances of your antiques being knocked around during loading and unloading. After the move, set aside some time to unpack your antiques. If you notice any damage to the crates or exterior boxes, document it with photographs or video. Carefully inspect each item as you unpack it. Do you detect a knick or a scratch that was not there before the move? This is when the photographs you took while creating your inventory will come in handy. If there is damage and you need to file a claim, be sure to check your policy to determine the amount of time you have to file and what types of documentation (such as before-and-after photos and appraisal forms) you’ll need to initiate your claim. By their very nature, antiques are rare and irreplaceable. Investing the time, effort, and money to protect them can help ensure that, no matter how distant the move, your most treasured possessions will arrive safely at your new home.